At Abrams Catering and Amusements, we are committed to satisfying our customers with great food and excellent service. We offer a wide variety of delicious dishes for Lunch and Dinner. We are located in Tarboro, North Carolina. Reynolds American Inc. and its operating companies are leading the transformation of the tobacco industry. At each US operating company, they are in a position to help resolve many of the controversial issues related to the use of tobacco. Committing ourselves to resolving these issues is the right thing to do and will ultimately advance their commercial objectives. Saf -Gard Safety Shoe offers work boots, safety shoes including steel-toe, waterproof and other industrial footwear. They bring a variety of brands including Hytest safety footwear, Wolverine Boots & Shoes, Caterpillar Footwear, Hush Puppies Professionals, Florsheim, Harley-Davidson Footwear, Carolina, Converse, Timberland Pro and several others. Saf -Gard Safety Shoe is committed to continuously look for creative ways to lower costs and pass the savings onto their customers. Snyder's-Lance, Inc. is the second largest salty snack maker in the United States. It was formed by the 2010 merger of Lance and Snyder's of Hanover. As of 2018, it is a subsidiary of the Campbell Soup Company. Alliance One International is an international storage, sales, distribution company and is one of the two publicly held independent leaf tobacco merchants in the world. The company generates revenue primarily by selling leaf tobacco and relevant processing fees charged from tobacco manufacturers worldwide. The company's enterprise value is $1.27 billion. The company holds a leading position in the tobacco-producing region with operating more than 50 manufacturing facilities worldwide. Its customer base include the world's largest tobacco manufacturers in United Kingdom, Japan, China, U.S., Southeast of Asia region and so on. On February 8, 2018, the company announced investments in two Canadian cannabis growers and a United States-based hemp producer. Graylyn International Conference Center, located in Winston-Salem, North Carolina, offers guests a private estate of their very own. Just minutes from downtown, Graylyn's vast 55-acre property allows visitors to experience a world away from the bustle of city streets. A perfect combination of a modern, sophisticated conference facility and an enchanting, historic residence. Platinum Corral was founded in 1996 as a multi-unit franchise operator of Golden Corral Buffet-Grill restaurants. We have become one of the largest, most progressive and fastest growing operations in the system with units in North Carolina, South Carolina, Ohio, Virginia, West Virginia, and Kentucky. Red Hill Brewing is a Downtown Concord NC Nano brewhouse. As a small batch brewery we brew a wide range of beer styles and flavors offering options for every palate. Their focus is creating unique local beer for their community and providing a gathering place for the neighborhood to fellowship. We at Carolina Mountain have made fresh rainbow trout our primary focus to provide the highest quality service possible. Extended Stay America, Inc. is the operator of an economy, extended-stay hotel chain consisting of 629 properties in the United States and Canada. It is listed on the New York Stock Exchange as a "paired share" with the real estate investment trust ESH Hospitality, Inc., the owner of the hotels. Extended Stay America is headquartered in Charlotte, North Carolina. T&J Construction is a premier commercial contractor specializing in interior upfitting. They are located in Concord NC Cardinal Glass is the recognized leader in glass and glass technologies with their headquarters in Eden Prairie MN. Davidson College is a nationally recognized, highly selective independent liberal arts college located north of Charlotte, North Carolina. Prestage Farms is a producer of quality pork and poultry. Prestage Farms employs over 1,800 employees and contracts with over 400 farm families to produce pork and poultry to feed our world. 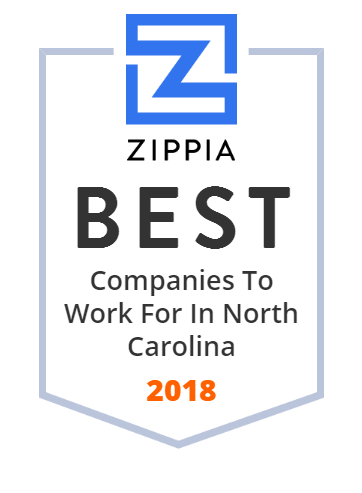 With headquarters in Charlotte, NC, Tryon Distributing services the entire state of North Carolina and is committed to delivering premium quality alcoholic beverages to a growing customer base. Since its founding in 1927, the Picket Hosiery Mills, Inc. has been making quality socks that will provide comfort and protection for feet of people from all walks of life. For decades, the company has been protecting the feet of athletes, workers, outdoor adventurers, military men, as well as fashionistas. Pickett Hosiery Mills also added DuraCare to its collection to address the adverse effects of diabetes on the feet of their customers. Founded in 1978, IP Products provides cleaning supplies, safety products, and paper products - efficiently and affordably. This innovative company strives to constantly bring new cost saving innovations to customers. Headquartered in Greensboro, North Carolina with a revenue that is nearly $100 million, IP Products distributes their products within the US and internationally. Butterfly Pads / Body Liners for women and men provide discreet secure protection for accidental bowel leakage (ABL). The domain name patriotbuilding.com is for sale. Make an offer or buy it now at a set price. Undeveloped keeps you safe. Texas Steakhouse & Saloon is a casual dining chain restaurant that has been serving sumptuous dishes since 1989. It is known for serving Texas-style cuisine, notably steaks, and seafood which are prepared over live mesquite grills. The restaurant's menu also includes salads, burgers, and fried chicken. Today, the company operates 13 restaurants all located in Virginia, West Virginia and North Carolina. Roll Your Own Fusion Rolls in Minutes, No Cooking! GF, Vegan - It's how we Roll! Brewed and packaged in beautiful Hillsborough, served at our Public House and across North Carolina. HanesBrands is a socially responsible manufacturer and marketer of leading everyday basic apparel under some of the world's strongest apparel brands in the Americas, Europe and Asia, as well as in Australia and South Africa. Their iconic innerwear and activewear apparel brands found in the United States and elsewhere. Forsyth Country Day School (FCDS) is a coeducational private day school located in Lewisville, North Carolina. FCDS was established in 1970. At R J. Reynolds Tobacco Company they emphasize finding innovative ways to operate within the framework of a principled approach to product development, manufacturing, marketing and selling. They offer a level of challenge, responsibility and creativity for motivated employees that stands apart from the crowd. Santa Clara Cigars is the largest distributors of premium cigars and domestic cigars in the United States. White Tractor Company sells Tractors and Equipment including: Massey Ferguson, LS Tractor, Kioti, Grasshopper, Woods, Husqvarna, Hardee, and more. A&B Store Fixtures is a family run business and has been dedicated to customer satisfaction for 3 generations. Check us out on the web, or in one of our stores! Concorde Battery Corporation is a manufacturer of premium quality lead-acid batteries. The present product lines include valve regulated sealed lead-acid batteries (VRSLA) for aircraft, marine, medical, telecommunications, emergency backup, and photovoltaic applications. Since 1979 Concorde Battery Corporation has manufactured aircraft batteries. From small storage sheds to hobby centers, pool houses, personal workshops to large garages and home additions, Dutch Barns specializes in structures and services that add space to your life and value to your home. At Lilly Fasteners specialize in anchors, bolts/cap screws, nuts, screws, socket products, threaded rods, washers, stainless/marine, and much more. Manis Custom Builders are the premier custom home builders serving Wilmington, NC & Florence, SC. Call us today to start building! The Cottle family has grown, packed, shipped, imported, and distributed quality fruits and vegetables for over 50 years. Shop in-store or online for name brand sandals, athletic shoes, boots and accessories for women, men and kids. FREE shipping with $35+ online purchase. French Broad Chocolates started to become a haven for indulgence in 2008 and continued to give the people of Asheville boxes of surprising sweets up to this day. This small factory in the mountains of Asheville, North Carolina has built a solid reputation not only for making delicious chocolates using fine flavor cocoa but also in serving good pastries, ice cream, and confections. Thomas Concrete is an independent, family-owned company that has been providing high-quality ready-mixed concrete in the Southeast for over 30 years. It has a team of concrete specialists that is committed to providing customers with reliable and efficient services at reasonable prices. Thomas Concrete is known for offering unique products and concrete mixes based on national standards and according to customer specifications. They offer concrete placement services as well. 5 million. ), and the facility was known as the BTI Center for the Performing Arts from 1997-2005. Rick Hendrick Toyota of Fayetteville, NC is the place to get your new Toyota. Proudly serving nearby Lumberton, they offer a great selection of new, used, and Toyota Certified Pre-Owned Vehicles. Their expert staff is trained to find the vehicle that suits your needs. Come visit our store where you'll find cabin furnishings, kitchen decor, and cabin accessories for every room of your log cabin or rustic lodge home! Lowes Foods began in 1954 as a single store in North Wilkesboro, NC, and has grown to become a major supermarket chain operating in North Carolina, South Carolina and Virginia. The company grew rapidly during the 1960s, '70s and early '80s. Lowes Foods was acquired by Merchants Distributors, Inc. (MDI) in 1984 and began an aggressive expansion program in 1986, opening 19 stores over the next four years. Liggett Vector Brands LLC engages in the sale, marketing, and distribution of tobacco products. It sells products through stores in the United States. The company was founded in 2002 and is based in Mebane, North Carolina. Liggett Vector Brands LLC operates as a subsidiary of Vector Group Ltd. The domain name levelconstruction.com is for sale. Make an offer or buy it now at a set price. Undeveloped keeps you safe. High Cotton creates gifts that are funny, thoughtful and occasionally a bit snarky. No matter what the occasion, no matter what the season, High Cotton products will bring a smile to your face. Proudly Made in the USA for over 25 years. Nash Johnson & Sons Farms, Inc. owns and operates meat and poultry processing farms. The company s products include shavings and bulk pine screened and dried. Nash Johnson & Sons Farms, Inc. was incorporated in 1961 and is based in Rose Hill, North Carolina. Providence Country Club is a private club located in Charlotte, North Carolina offering family-focused amenities and a beautifully designed course by Dan Maples and recently renovated by Kris Spence. Paragon Building Corporation is a North Carolina registered corporation operating as a full service General Contracting firm specializing in industrial, commercial and institutional construction. Bob Morgan and Charles Moore started the Paragon back in October 1993 with 59 years combined management experience in the construction industry. We are a Full Sales and Service Center for Mercury, Honda Marine, MerCruiser, Yamaha, Volvo Penta Gas and Diesel, Suzuki. McKenna Construction in Morrisville, NC in a full-service general contractor providing the highest quality of commercial construction services. From design to project completion, they will be with you every step of the way. Since 1963 Edwards Music company has been musicians selling to musicians, future musicians, parents of musicians, music directors, and all with a desire to make music. Their new site is designed to tell you about them , and why they hope you will choose to do business with them. They can show you first hand how their staff of experts can meet your musical needs. Since 1944, Sherrill Furniture Company and its divisions have supplied custom home furnishings to Major Furniture Stores and Major Department Stores throughout the United States and Canada. All of their factories are located in the Hickory, North Carolina area. We are a family-owned, wholesale and services company, founded in 1972. Metrolina is the largest single-site, heated greenhouse (over 160 acres) in the U.S. Founded in 1960 in Kannapolis, NC, Shoe Show, Inc.'s success has been based on a simple formula of providing quality products, service and value. Over the past fifty-eight years Show Show, Inc. has continued to grow with stores named Shoe Show, Shoe Dept. And Burlington Shoes. Currently Shoe Show, Inc. has 1119 locations in 46 states. SRI Shoe Warehouse in Raleigh, NC has thousands of shoes to choose from. All of our shoes available online are also in-store at our warehouse! Visit us today! Institution Food House, Inc. offers food service distribution services. The company s chefs assists in menu planning and cost analysis, recipe development, staff training, inventory management, waste control, special functions, equipment needs, and suggestions on how to improve productivity; dietitians provides seasonal cycle menu systems for healthcare and daycare facilities, restaurant consultation on healthy menu items, and food safety services; center of the plate specialists provide planning, costing, consulting, and training services for center of the plate menu applications; and non-foods, and equipment and supply specialists assists in packaging, consulting, layout and design, delivery and installation, and replenishment goods after the sale activities. It also provides beverage dispensing equipment and services for coffee, tea, and juice programs; dispensing systems for dishwashing, laundry, and housekeeping with cleaning solutions and supplies; and test kitchen and meeting room facilities. In addition, the company provides bakery, dairy, dry grocery, and seafood products; equipment and supplies; frozen fruits and vegetables; and non-foods. It serves fine dining establishments, casual restaurants, quick serve restaurants, hotels, school systems, and healthcare providers in Florida, Georgia, Kentucky, North Carolina, South Carolina, Tennessee, Virginia, and West Virginia. The company was founded in 1965 and is based in Hickory, North Carolina with a distribution center in Florence, South Carolina. As of June 23, 2012, Institution Food House, Inc. operates as a subsidiary of Performance Food Group, Inc.
Franklin Baking Co., LLC produces and distributes fresh bakery products for customers in eastern North Carolina. The company offers white bread, soft bread, specialty breads, hot dog rolls, hamburger rolls, dinner rolls, cakes, tortillas, and a line of institutional products. It offers its products through local supermarkets and restaurants. The company was founded in 2000 and is based in Goldsboro, North Carolina. Franklin Baking Co., LLC operates as a subsidiary of Flowers Foods Inc. The story of Thomasville began in Thomasville, North Carolina, in 1904. At the time, they offered just one product a chair. The "Thomasville Chair" it was called. The chair was so beautifully crafted and well made that people responded by asking them to create other pieces as well. Now they make home furnishings, accessories and cabinetry. This historic resort with a trendy decor is situated in a unique island location. The Atlantic Ocean lies in front, and a deep water harbor behind. Guardian Corporation is one of the premier companies in the hotel, restaurant and leisure industry that operates restaurants. This trusted company was founded in 1977 and is based in Rocky Mount, North Carolina. Guardian Corporation has around ten thousand hardworking employees with nearly a hundred million dollars in revenue. Putt-Putt is the world's first and only copyrighted and branded miniature golf game, all courses were built to exact standards to create a game enjoyed by children and adults alike. They pioneered the use of high quality outdoor carpet and aluminum bump boards and unique obstacles for a consistent roll and bounce. As a family owned and operated company, Dennis Carpenter has been making Ford restoration parts for over 46 years. As the business grew, they began manufacturing rubber seals, rubber bumpers, die cast chrome parts and metal stamped parts. In 1998 Ford granted us the honor to use the original Ford factory tooling for many parts that we make now.